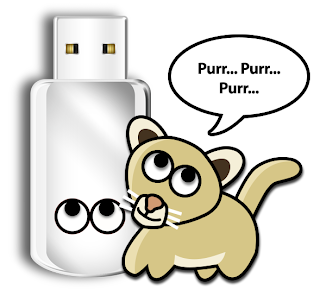 Today rBoot, the boot CD for both Snow Leopard and Lion has been updated to 1.2. The standard version, and a laptop edition (rBoot LE) are now available for download at tonymacx86.com/downloads. iBoot has been updated to 3.3. As always, this boot CD facilitates the direct retail installation of Mac OS X 10.6.x Snow Leopard via iBoot + MultiBeast. Pick up the latest version at tonymacx86.com/downloads. Today MacMan updated Chimera to version 1.9. 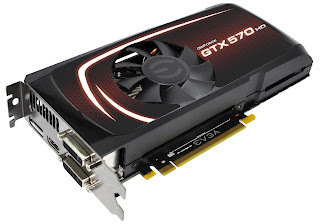 The most exciting change is the addition of a new bit of GraphicsEnabler code from the Chameleon team to enable multiple NVIDIA graphics cards without any extra DSDT edits necessary! 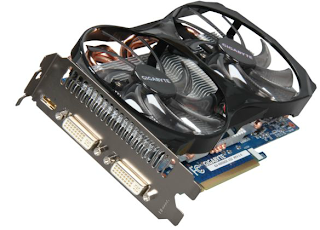 He's also added support for Intel's soon to be released Ivy Bridge CPUs and GraphicsEnabler detection for NVIDIA's new GeForce GTX 680. This new version will be included in the next MultiBeast release. 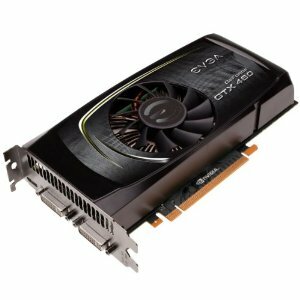 r1903 "NVDA,Child" device_type support for non-primary NVIDIA cards. 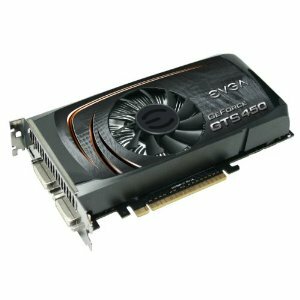 Multiple graphics cards work without any extra DSDT edits. 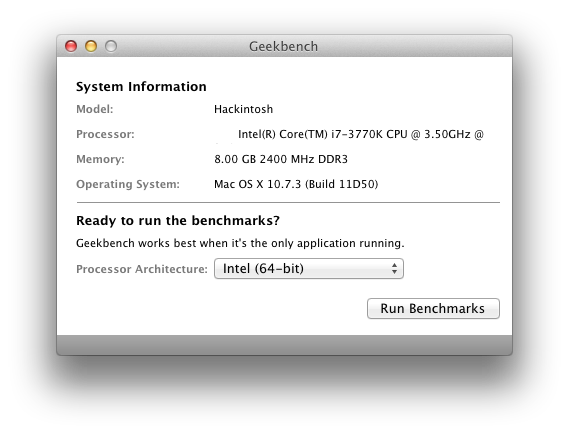 Added support for Ivy Bridge CPUs. Added GraphicsEnabler detection code for NVIDIA GTX 680 and GT 620. Driver support is still missing in Mac OS X. Added additional missing NVIDIA cards. 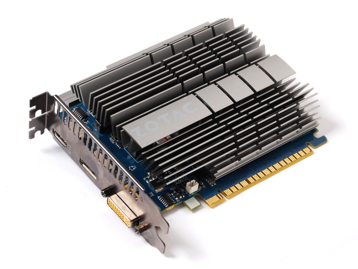 Added GT540M device id 0x0DF4 to memory detection work around. Cleaned up Sandy Bridge-E CPU detection and support code. 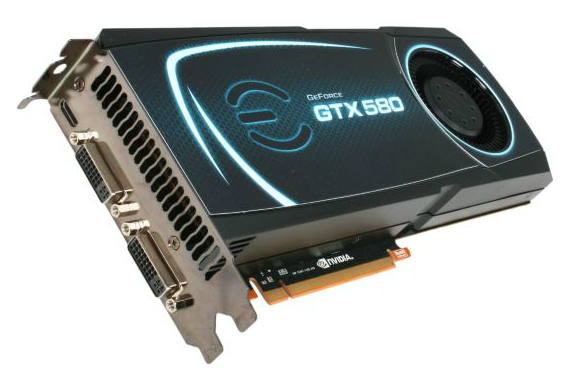 Many graphics and video professionals prefer using NVIDIA graphics cards. OpenCL (Open Computing Language) was initially created by Apple to provide applications access to the computing power of the graphics card as well as the CPU. This can dramatically increase the general performance of high-end applications at the OS level, and has become an industry standard. 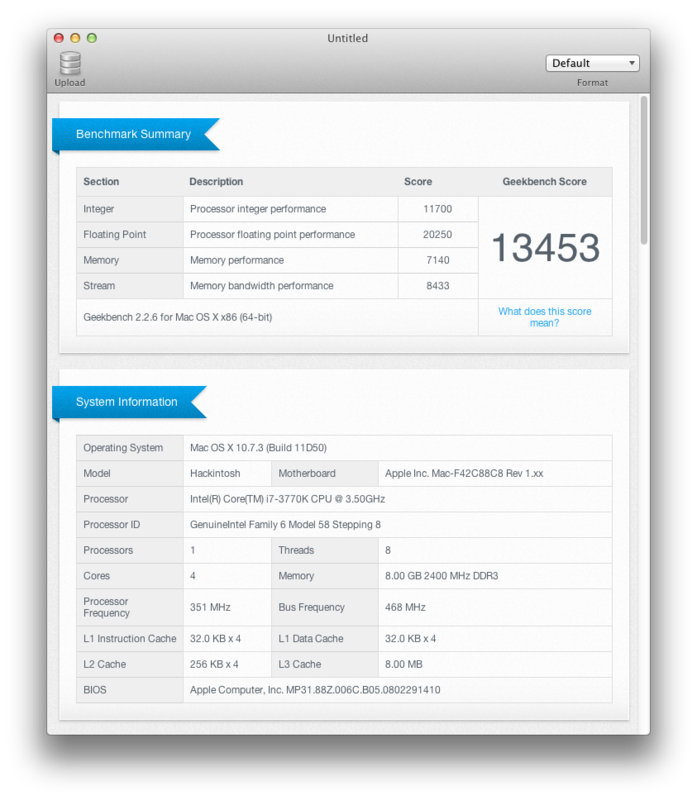 Apple has supported OpenCL since Mac OS X 10.6 Snow Leopard. 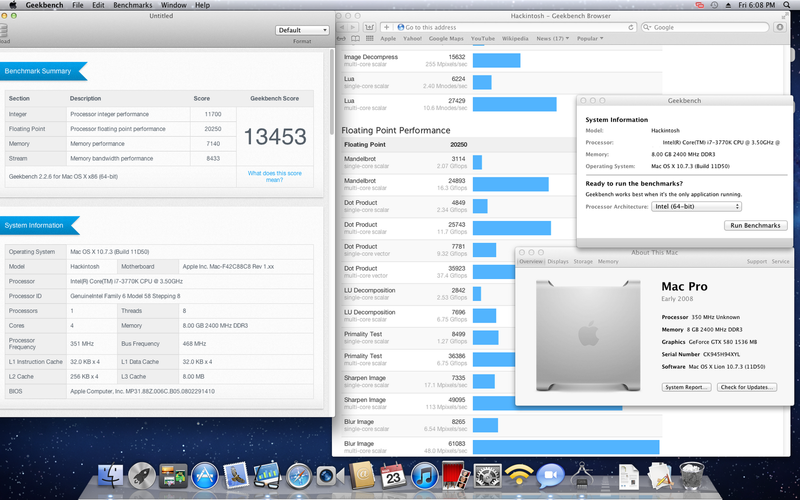 Using the latest MultiBeast, all NVIDIA 4xx and 5xx graphics cards can be optimized for Mac OS X Lion. We've included a Combo OpenCL Enabler, that not only patches all device IDs into the native driver, but patches the system to use the power of OpenCL. 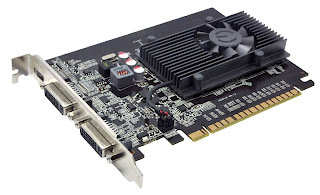 Earlier NVIDIA (pre-Fermi) models and ATI/AMD cards are OpenCL enabled by default, and do not need any patching. 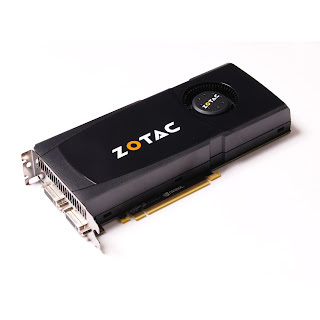 Integrated graphics solutions such as Intel HD 3000 do not support OpenCL. 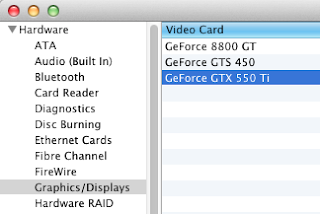 NOTE: Only for Mac OS X Lion native drivers with NVIDIA 4xx and 5xx cards. If you've previously installed the official Quadro for Mac drivers for Lion from NVIDIA's site, do NOT run the Combo OpenCL Enabler. 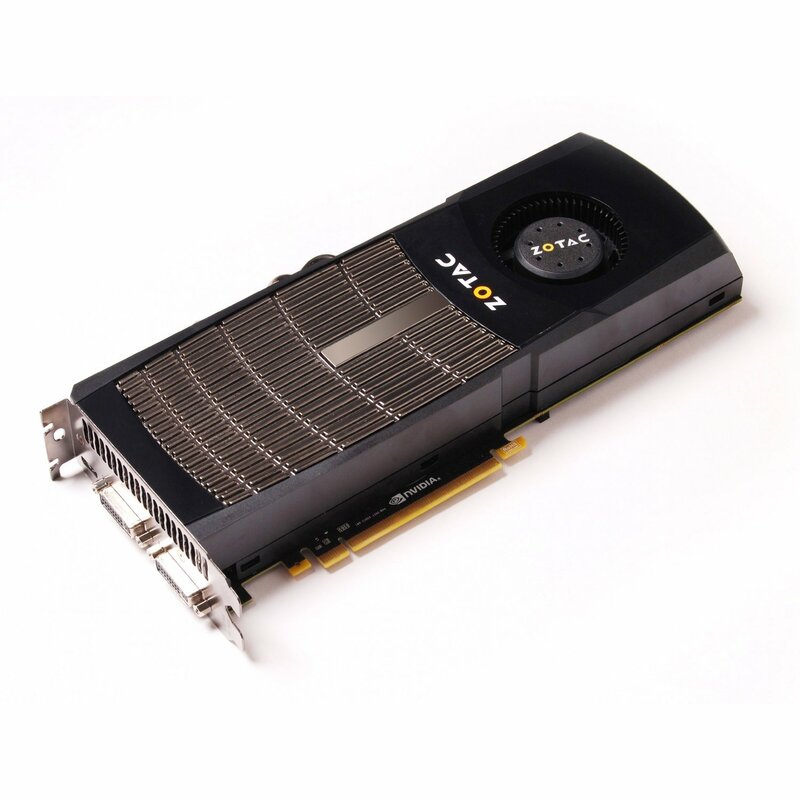 NVIDIA has created a similar but proprietary technology, called CUDA. 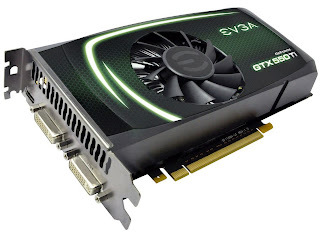 According to NVIDIA's site, CUDA is "a parallel computing platform that enables dramatic increases in computing performance by harnessing the power of the graphics processing unit (GPU)". 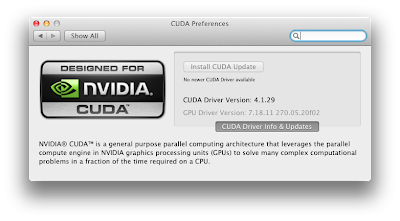 NVIDIA's CUDA driver for Mac can be downloaded free from NVIDIA's site here. It is important to note that both CUDA and OpenCL don't work with every piece of software. The application itself must be coded to support them. Refer to the developer's website for compatibility with these technologies. Below are some of our top picks for modern NVIDIA cards that can be fully enabled using the new Combo OpenCL Enabler and CUDA. Check out our CustoMac Buyer's Guide for a huge list of alternate graphics cards, parts, and full Sandy Bridge Socket 1155 builds. Good luck, and let us know how it goes! 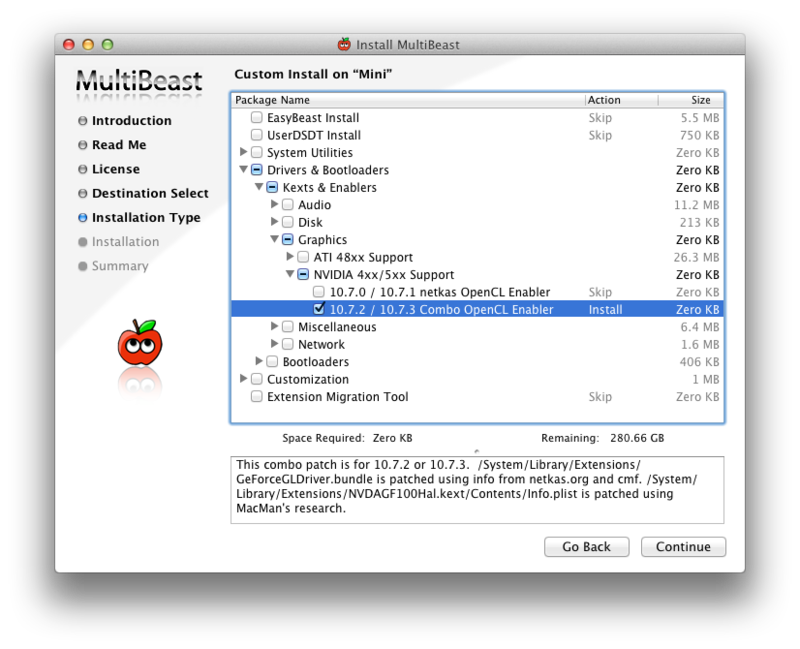 Today MultiBeast was updated to version 4.3 for Lion. We've added a new Combo OpenCL Enabler, which when combined with Chimera 1.8 will enable full QE/CI and OpenCL for all NVIDIA GeForce 4xx and 5xx graphics cards. Two more big additions are the flAked SpeedStepper for UEFI power management fixes, and maolj's Atheros ethernet driver. 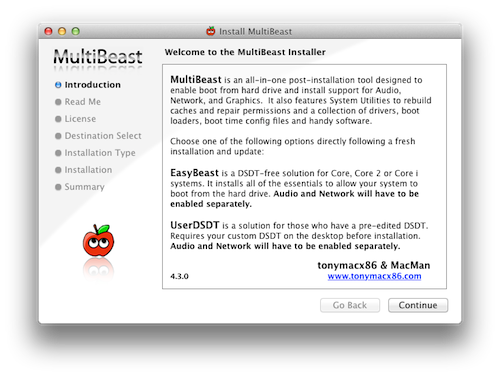 The latest version of MultiBeast is now available at tonymacx86.com/downloads. Added 10.7.2 / 10.7.3 Combo OpenCL Enabler. This new enabler contains the functionality from the old OpenCL Enabler plus adds cmf's OpenGL patch and MacMan's patch to add the missing NVIDIA device IDs. 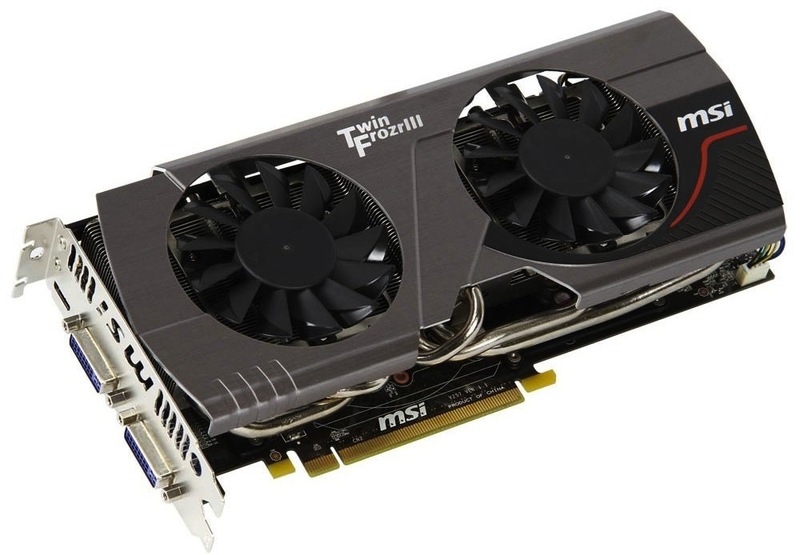 NOTE: ONLY for native Apple-released graphics drivers, NOT for the older NVIDIA Official Drivers for Quadro released here. The programs in this choice are now available for download here. Added 10.7.2 / 10.7.3 Combo OpenCL Enabler to EasyBeast and UserDSDT installs. Changed npci=0x2000 to npci=0x3000 for all kernel flags. Removed backup function from any script that was backing up and patching kexts.